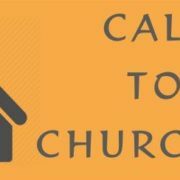 Dalit Liberation Sunday has become an important feature in the calendar of Indian Churches and Ecumenical movements. 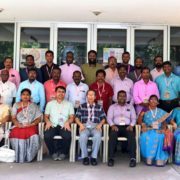 Over the years, there has been a positive response in sensitizing the local congregations towards concerns of Dalits, for no longer caste issue is visualized as a sociological issue or an issue outside the purview of church but more seen as an issue challenging the core of our faith and gospel. 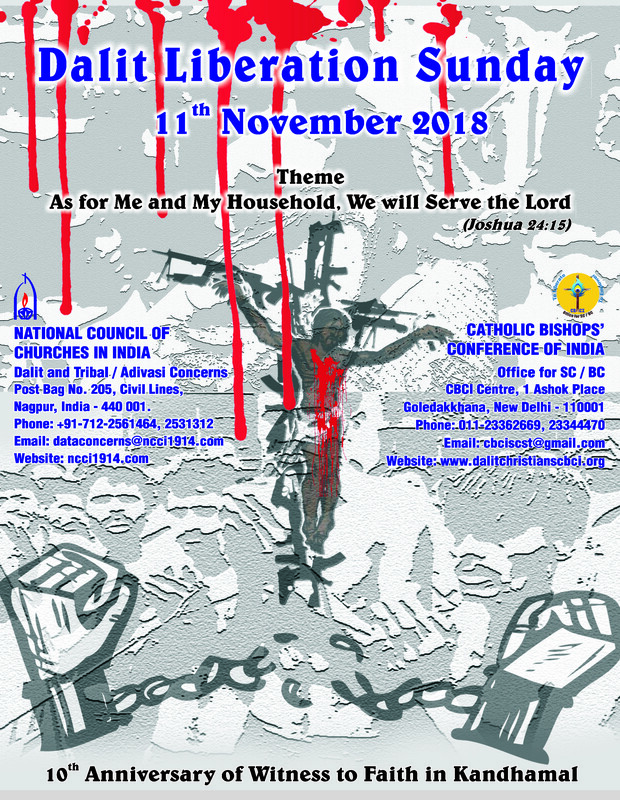 Dalit Liberation Sunday is a joint programme of National Council of Churches in India (NCCI) and Catholic Bishop’s Conference of India (CBCI), aiming at the empowerment of the local congregations for Dalit liberation. Thanks to the enormous support received from across the churches, dioceses, parishes and theological institutions in celebrating this special Sunday. The theme for this year’s Dalit Liberation Sunday is “As for me and my household, we will serve the Lord” (Joshua 24:15). 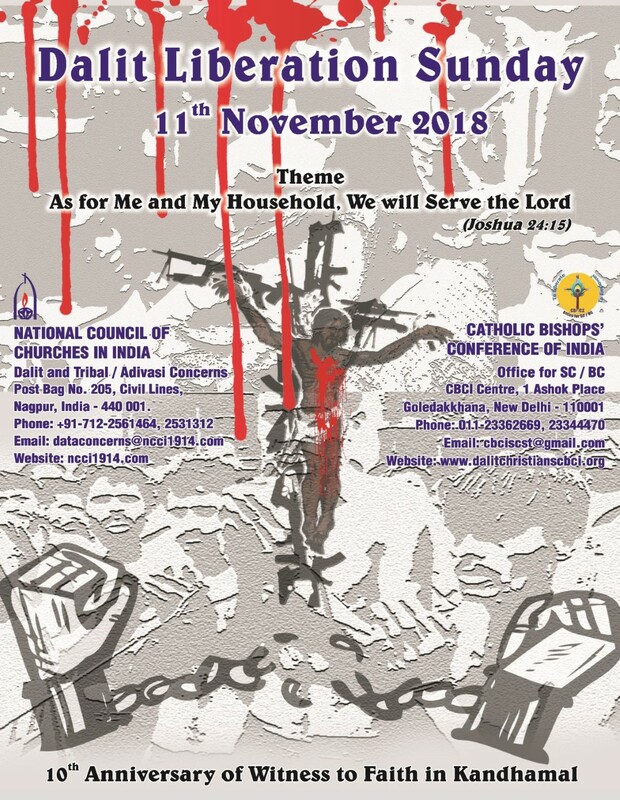 We take this opportunity to invite you to observe Dalit Liberation Sunday on 11th November 2018 in your church/local parish/institution in a creative way and rededicate our commitment to the Gospel by accompanying the unaccompanied. However, if you already have some programme on 11th November 2018, you may think of celebrating this Special day on later Sundays. You can download the POSTER (.jpg Hi-Res 6.70 mb | .jpg Lo-Res 537 kb) and special ORDER OF WORSHIP SERVICE (.pdf HI-RES 18 mb | .pdf MED-RES 12.5 mb | .pdf LO-RES 2.77 mb) for the day. You may take the freedom to use the entire worship order and translate it in your vernacular language or adapt parts of it. We would appreciate if you send a brief report along with a few photographs of the observance to the undersigned. Let us join to observe Dalit Liberation Sunday on 11th November 2018. 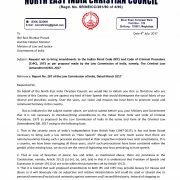 National Council of Churches in India. 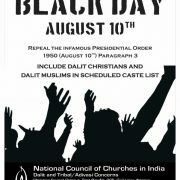 Appeal to observe AUGUST 10th as "Black Day"
Diaconal Church in a Radically Changing India.